I've packed up all my crap and moved across this country three times. Once for grad school. Then again for a job. Then again for my husband's job. I actually find it quite exciting to head to a new city, and hope I have the chance to do it again at some point. What's NOT exciting is the toll it takes on your friendships. I was having a text convo with my roommate from grad school, as she's also moved all over the country with a military husband. We were talking about a shared experience with some of our high school friends when I got the idea for this post. This, guys, is what it's like when you're the friend who leaves by moving away. At first, it's exciting. You need to figure out where the grocery store is, and where Target is, and you're trying to find your favorite local restaurants. And while that's exciting, the early months are also the loneliest. You haven't made new friends yet - if you're lucky, you've just met some new acquaintances. So you rely heavily on your friends from your former city. But it's bittersweet to talk to them. They fill the conversation with tales from your former favorite restaurants and bars, the kickball league you used to play on, and give you the gossip on your former favorite yoga teacher. In those first few months of living in a new city, you depend heavily on your old friends. But oddly, sometimes talking to them makes you sad. They only remind you of everything you loved and how badly you miss it. 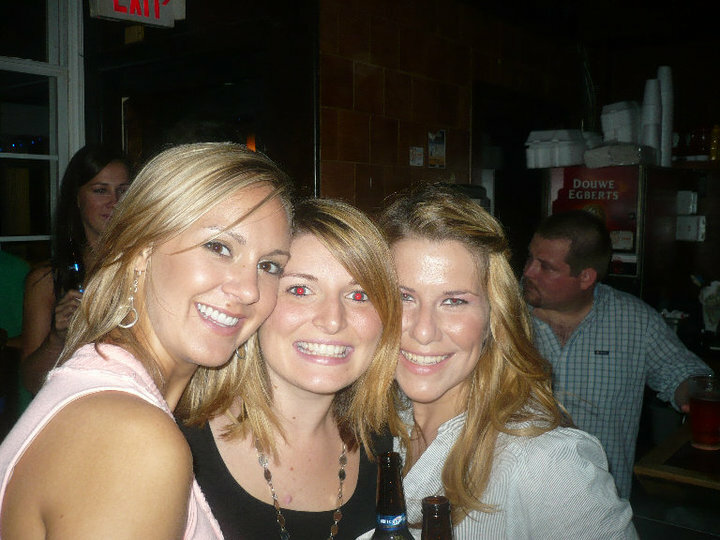 Pre-kids, when I could fly to Richmond several times a year to party with these beauties. This is 2010. Red-faced drunk guy totally photobombed this otherwise cute pic. After you've been gone for several months, you've made new friends. You have people to go to lunch with and you have people to hang out with on the weekends. But they don't know you like your old friends do. You're finally no longer homesick, at least not all the time, but every once in a while you think, "Dang! I wish (fill in the name of your closest friend from your former city) was here! They'd totally understand why I'm laughing/crying!" And then you call up that friend, and have a good long talk about it, and feel refreshed that there are people in the world that still truly "know" and "get" you. Then you decide, you know what! I'm going to go back to that city and pay everyone a visit. So you get your ticket and let all your old crew know you're coming. You start to get activities and dates set up to hang out with as many people as possible. But you're also shocked at who DOESN'T respond to you, nor make time to see you. You're left a little miffed, thinking, "hey, I'm traveling 1100 miles to see you! Why can't you clear a night to hang out with me?" You'll be shocked at who won't drive to your side of town when you've traveled so far. You'll be saddened by who decides to leave town on the very dates you're traveling there so that they can take a last minute trip with their new boy/girlfriend. You'll also be happy with the friends that go out of their way to see you and make your trip worth it. 2008: The year I thought it'd be fun to be a brunette (it wasn't), lived in Savannah and told Paula Deen I wanted to marry one of her sons. That didn't pan out, but I'm still friends with the gal in the photo! As you put more and more time in between the date that you left your last city and all your friends, the calls and texts get fewer and fewer. You start to submerge yourself in your new city and life and friends more and more. Perhaps now when you need some advice or want to have an in-depth conversation, you even call one of your "new" friends because you called one of your old ones, but got their voicemail for the third time. There are friends who will be your "forever" friends. With the friends who do stick around, every time you talk it's as though you never left. You're able to jump right back in to your regular ways and conversation and it feels so good! 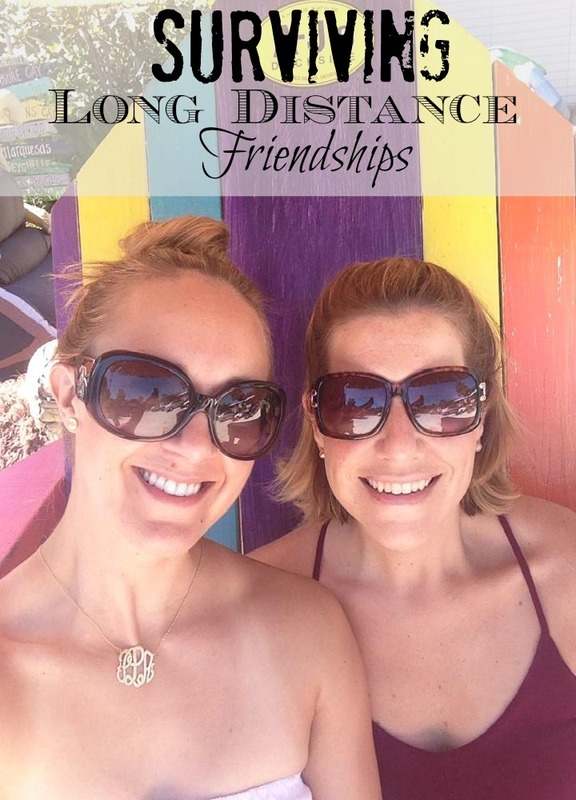 Then there are the friends who will let the distance sever the friendship. There are friends who will put in the time and effort to remain connected and those that won't. And who is who and which is which will likely bring some surprises. Been friends with this guy for almost 20 years! This was NYE 2009. Just look at those false lashes! Being the friend who leaves is both the exciting role (whoohoo, a new city and new experiences!) and also the lonely and frustrating role. You want so desperately to continue friendships, but sometimes that's hard. At first, it just makes you more lonely and then after some time, it just becomes challenging. Lives change and move forward. You make new friends. Your best friends will always be in the picture, even if you don't talk to them regularly or see them often. But who truly ARE your best friends might shock you when you're the friend who leaves for a new city. You know I've been anxious about this. Thanks for taking the time to write this out - I needed to hear it. My best friend has moved at least ten times in the last 30 years. yet we have always remained close. Back in the day we were stuck to the wall talking on the phone! Thanks goodness for cell phones and texting! This post made me so sad :( I usually Skype/FaceTime friends on the weekends and it's always so difficult when they're together and I'm just on the other side of the phone (sober when they're drunk haha). ALSO, how have you not aged? Loved this post! Most of my good friends are not close....so it gets lonely around here...I would love to move and start over with new friends! ah this post hit me in the feels. i have been the one who leaves and the one has been left. it's not easy that's for sure. you're right about being shocked about who won't make time for you. i went home in 2014 and some people didn't even respond, and others got snippy when i only gave them a short window that i was available. like i travelled literally ACROSS THE WORLD you can squeeze me in okay. Awwwww those forever friends, the ones you can call and they never start off by guilting you that you haven't spoken in 6 months. Loved this post and all those throw back pictures! I had a brunette moment as well ;-) I had to do a triple take in that picture of you! I found the same thing when I went away to college across country!